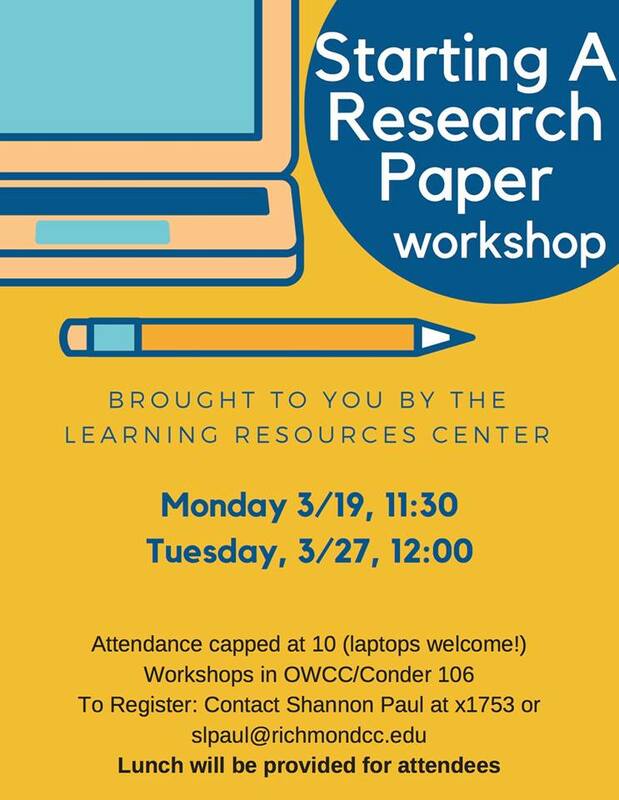 Learn the basic principles for starting a research paper in this 30 minute workshop. Lunch will be served. Contact Shannon Paul, Evening Librarian, at slpaul@richmondcc.edu if you are interested in attending . Attendance capped at 10 participants.